Interments in Swisher County & Vicinity, 1890-1990 * – Cemeteries included are the abandoned cemeteries of Wright, Center Plains-Bagley, Price Cemetery, and Providence Community Cemetery; Happy, Kress, Milo, Rodgers, Rose Hill-Tulia, Wayside and Vigo Park. There is a county map and maps of the cemeteries in Tulia, Kress and Happy. Index of Obituaries, 1950 to present, * by year. Swisher County Obituaries 1990 to the present * – Swisher County Obituaries Published before 1955 in The Tulia Herald and The Happy Herald. These are incomplete, especially for the early years, but they are the only ones available. Most of the early ones are from The Happy Herald. The Obituaries are kept on file at the Swisher County Museum. Swisher County History, * by Grace Moran Evans – (Wichita Falls: Nortex Press, 1977). Windmilling, 101 years of Swisher County Texas History 1876-1977 * by Swisher County Historical Commission (1978) – County & family history book. You can view a copy of the index here. A Long Line of Witnesses: A History of the First Presbyterian Church of Tulia, Texas, by Braly, Joye (Tulia Herald Press, 1976) West Texas A&M University’s Cornette Library. Google Books – digitized historical books with expired copyrights. Cemeteries of Tulia, Texas, Happy, Texas, and Shattuck, OK, by Evelyn Hawkins Chrysler (Shattuck: Hawkins,1982). Amarillo Library Genealogy Collection, Amarillo, TX, Call# 976.4838 – Non circulating. Panhandle Pilgramage by Robertson and Robertson (Paramount Publishing Co., P. O. Box 3730, Amarillo, TX 79116-3730). 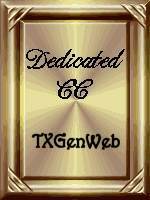 (806) 355-1040. The following microfilm/microfiche resources are available for rent through the Heritage Quest (formerly theAmerican Genealogical Lending Library or AGLL). You can pay the annual membership yourself, or see if your local library is a member. 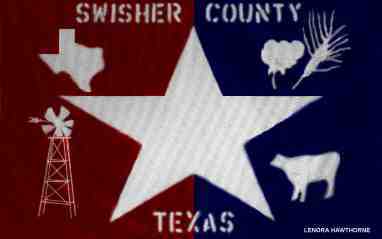 (**) References which may not be of much use – Keep in mind that Swisher County did not become an actual organized county until July 17, 1890. A historical edition of the Kress Chronicle, published on July 1, 1976 states that only four people were counted in the 1880 Census of Swisher County. NOTE: This page is in review. If you need access to any of these materials marked with an “*”, please message me using the “contact” link on the menu at the top of this page and I can review whether it would have information you might be interested in. Lillie Poff Flynt was my grandmother. Would love to read her writings referenced as well as anything about her parents (C. C. Poff). Thank you! I have a whole story she wrote.